Home / Other Political News, Politics / KETER blasts RUTO for claiming he is the second in command after UHURU - You are only stealing and not helping even your own KALENJINs!! KETER blasts RUTO for claiming he is the second in command after UHURU - You are only stealing and not helping even your own KALENJINs!! 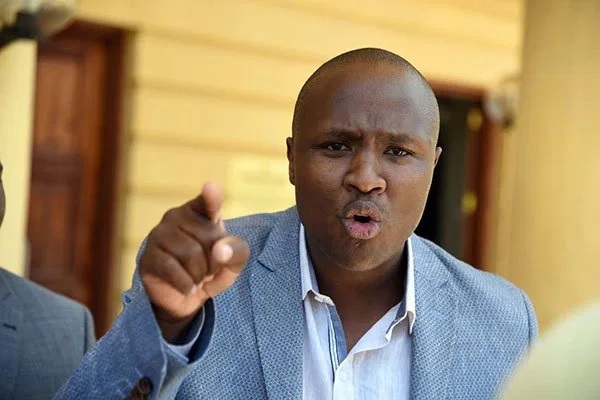 Wednesday April 10, 2019 - Nandi Hills MP, Alfred Keter, has castigated Deputy President William Ruto for bragging that he is second in command yet he has not helped his Kalenjin community. Sharing his thoughts via social media on Wednesday, Keter said it is wrong for Ruto to claim that he is the second in command after President Uhuru Kenyatta yet he has not helped the Kalenjin community. He wondered why his position has not benefited the Rift Valley peasants or the country at large. “In fact for Elgeyo Governor, he has unleashed his attack dog to fight him for standing with the truth on Kimwarer dams,” Keter said. “Ruto has deeply alienated young Kalenjin professionals and those who he keeps, he has used them like toilet papers to loot public coffers thus destroying young careers, Sang of KPC & Tanui of KPLC are now mere historical statistics, and he now never picks their calls,” added the Nandi Hills MP. Keter also accused Ruto of paying Central Kenya MPs Sh 50,000 each per weekend so that they can praise him.